Add a festive touch to your home with this Christmas candle accessories range from Aromatize. 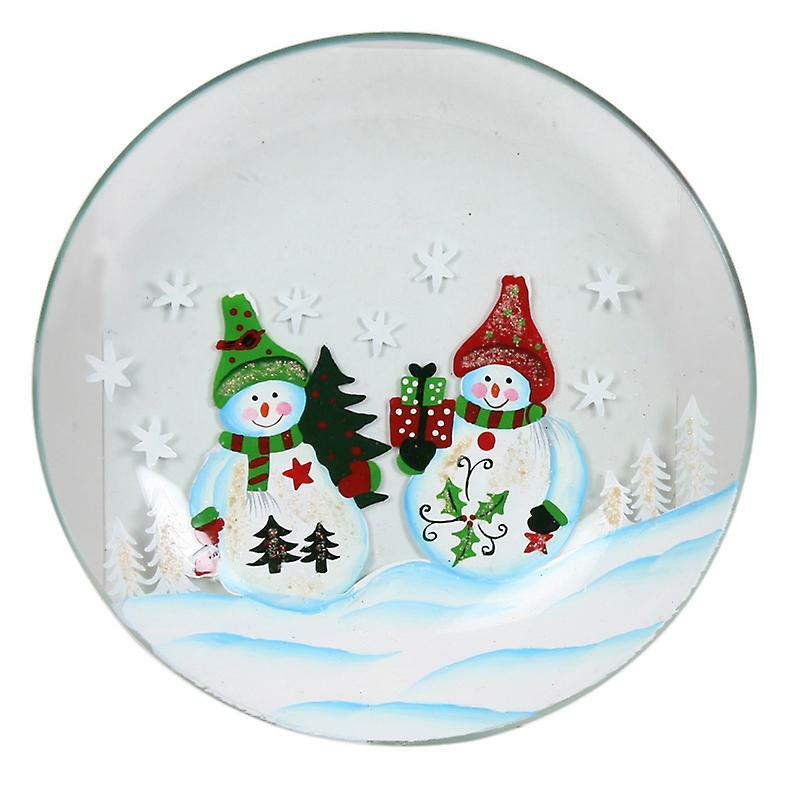 Round glass candle plate, featuring a cheerful, painted snowman and Christmas tree design. Measures approximately Dia15.5cm x H2cm. This product can become very hot - allow time to cool before attempting to touch or move. Not boxed. Matching items and other designs available.